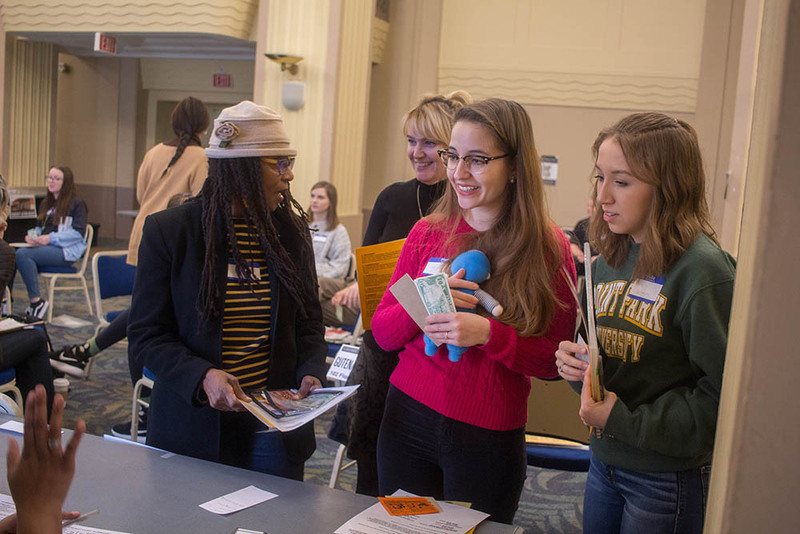 Point Park University students, faculty and staff experienced the hardships endured by low-income families during a poverty simulation event Jan. 19 in the Lawrence Hall Ballroom. Tammy Thompson of Circles of Greater Pittsburgh — an organization that helps individuals and families overcome poverty — facilitated the simulation. "This is not a game," Thompson said. "The main thing we always hope that participants take away from our simulations is a better understanding of what it takes for families in poverty to survive." Based on real case management files provided by Circles of Greater Pittsburgh, the two-hour event simulated a month in the life of a family seeking food, shelter, health care, education, transportation and other basic necessities. Participants had 10 minutes to act out each week with access to a variety of services around the room: social services, homeless shelters, mortgage and utility companies, among others. Diane Falk, a volunteer for Circles of Greater Pittsburgh, represented a community resource during the simulation. "We're modeling a typical community to illustrate that life just isn't quite the same for everybody depending on resources," Falk said. "If we can bring more awareness to participants today, that's huge." 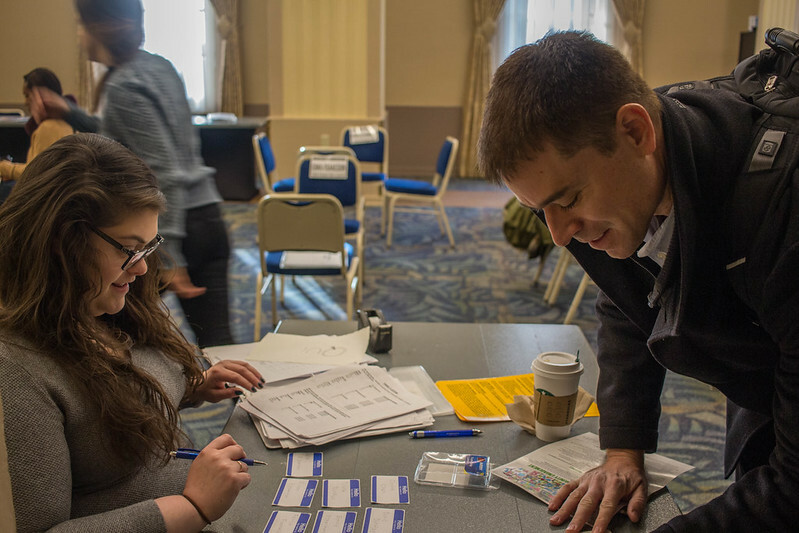 The poverty simulation was sponsored by Point Park's Department of Community Engagement in partnership with the Honors Program, Center for Media Innovation, School of Communication, Center for Inclusive Excellence, Student Affairs and Department of Psychology.